Make colour co-ordinating 3D writers with DecoArt Americana Acrylic Paint and Thickening Medium. Please watch the video to the end - Outtakes, major whoopsie! Learn from my mistake! 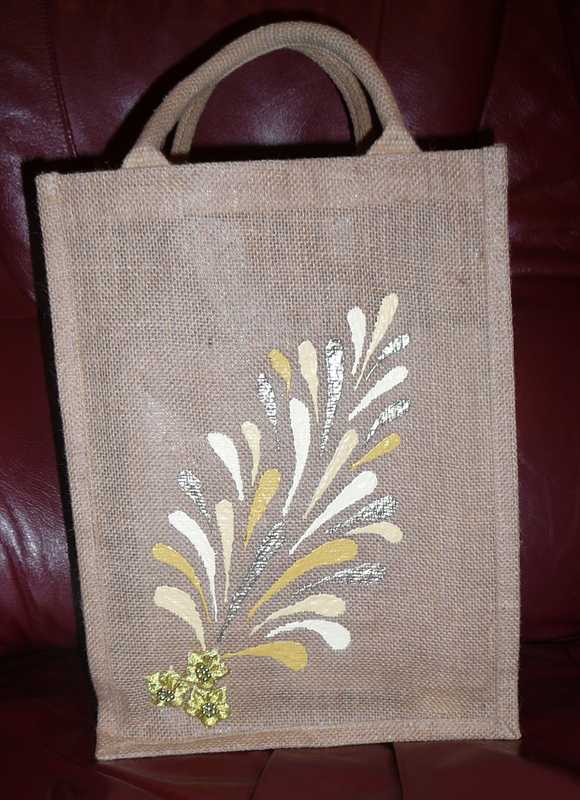 For this project I’ve used a jute bottle bag, it works really well on hessian and burlap too, but any crafting material would be OK too. I use a deerfoot stippler to apply paint for stenciling. Either palette mix or squeeze out a puddle from the bottle. Have some fun with this technique.